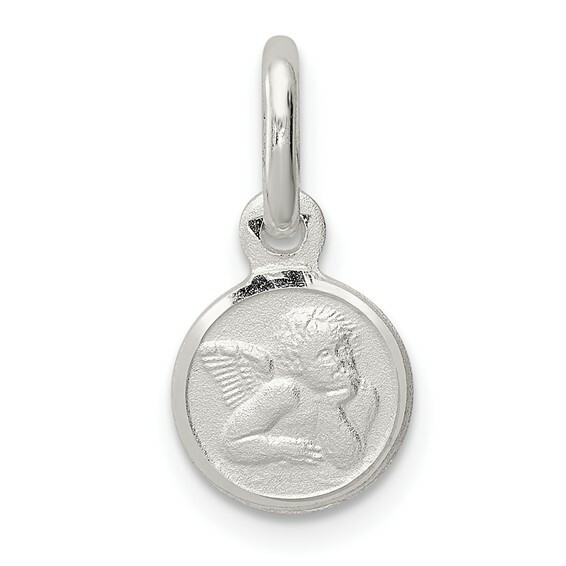 This tiny round Raphael angel charm is made of polished and satin finish sterling silver. Weight: 0.87 grams. Dimensions: 3/8in x 3/8in. This item is quite small. Made in Italy.